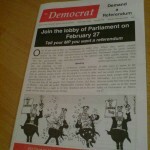 In der Januar/Februar-Ausgabe des britischen Magazins “The Democrat” erschien eine Kurzfassung meines Afrika-Artikels, welcher Anfang Januar auf german-foreign-policy.com erschienen war. 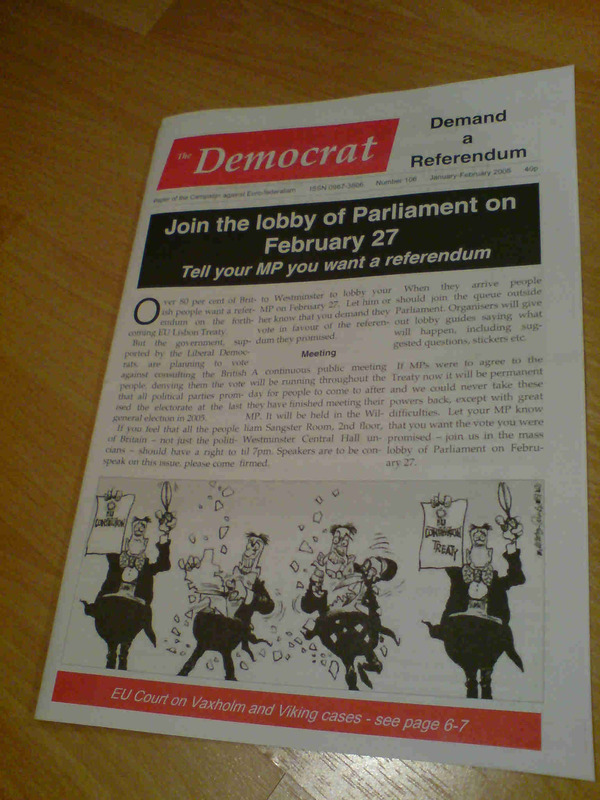 “The Democrat” ist eine Zeitung linker europaskeptischer Gewerkschafter, welche sich in der “Campaign against Euro-federalism” organisiert haben. Die Website des “Democrats” ist hier erreichbar. The German government is continuing its Military aid to Addis Ababa one year after the Ethiopian Military Invasion of Somalia. According to information Dom the German Defense Ministry, in spite of the war being waged by their Country and in spite of the accusations of serious war Dimes against army, Ethiopian Soldiers have repeatedly participated in Training programmes organized by the German Bundeswehr. 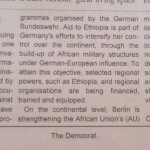 Aid to Ethiopia is part of Germany’s efforts to intensify her control over the Continent, through the build-up of African Military structures under German-European influence to attain this objective, selected regional powers, such as Ethiopia, and regional organizations are being financed, trained and equipped. On the continental level, Berlin is strengthening the African Union’s (AU) Military structures. The European Union is “by far, the most important financial contribution to the AU’s militarization” African politicians confirm. This not only spares the EU Dom having to deploy its own Soldiers to secure re-source rich regions, the Military influence of Berlin and Brussels also strengthens the German Position vis á vis China’s economic power in Africa.